We are pleased to have partnered with Knoxville Museum of Art and have been the designer for L'Amour du Vin for the second year in a row. L'Amour du Vin is the finest food and wine event in Tennessee. 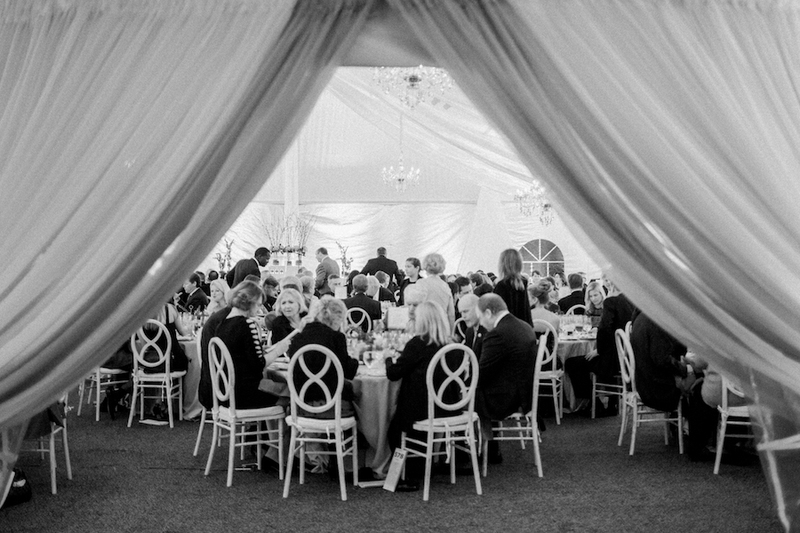 The wine auction and dinner partners with Relais and Chateaux property Blackberry Farm to create a spectacular evening to remember. In its 15th year, L'Amour du Vin has become one of Knoxville's most eagerly-anticipated evenings. 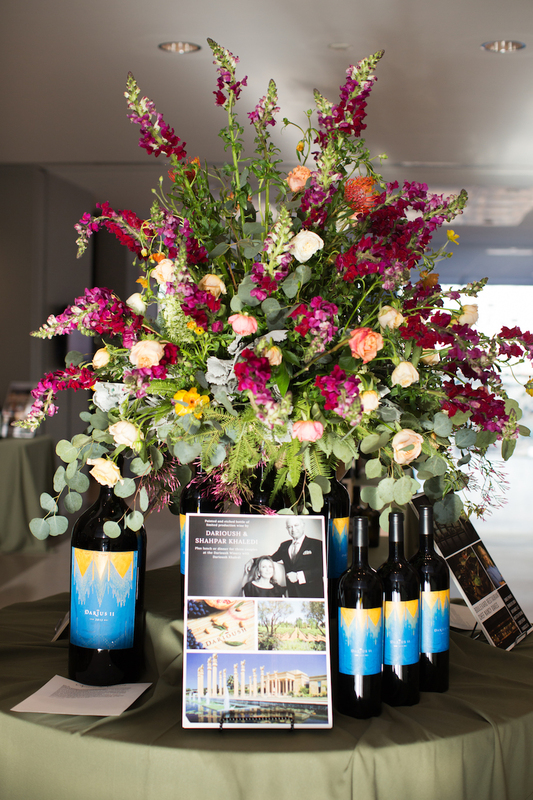 This year's event featured vintner Darioush Khaledi and artist Darren Waterston. Our design was based on the Persian influence of Darioush's style and the artwork direction that Darren created. We designed an eclectic and bold feel with vintage rugs. We partnered with Soulflower Design Studio to custom design the floral and transport to Tennessee to add the final touches. Guests loved the vibrant setup for dinner featuring pops of blushes and oranges. We always love sharing or expert advice and knowledge with brides. Today, we are sharing this bridal tip from our Founder + Executive Producer Raquel Bickford Oranges. We hope this helps with your planning and wedding process. "Trust your wedding planner when booking your vendors. They know the best of the best and can make recommendations for vendors that fit your budget and style. They also work with their preferred vendors on a daily basis and trust that they will exceed expectations, adhere to the timeline, and do a phenomenal job on your wedding day. Working with your planners suggested vendors will take the worry out of choosing who is going to make your wedding the best day of your life!" Click HERE to see the full feature on Bridal Guide.